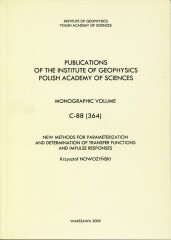 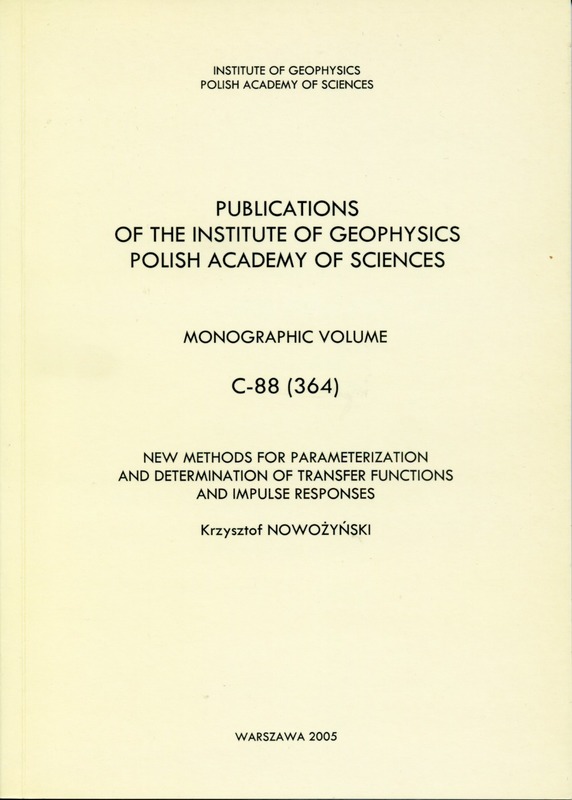 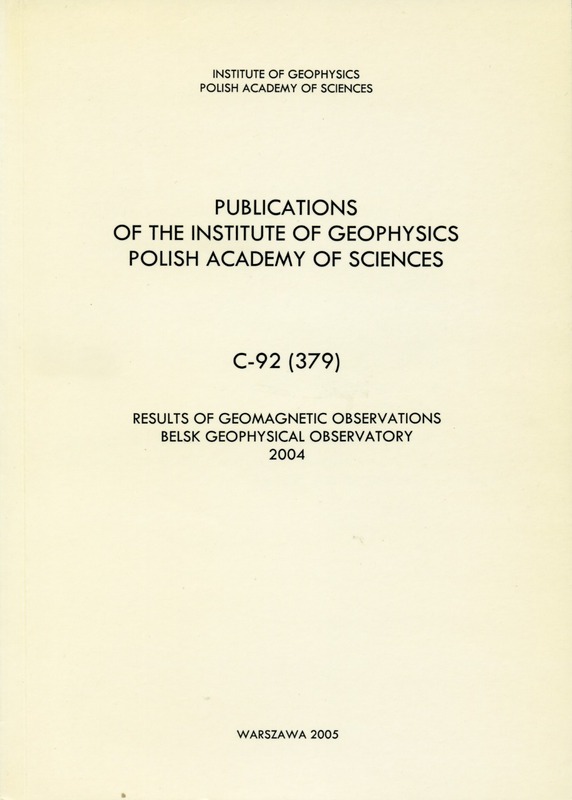 This volume contains the results of observations of the Earth magnetic field for the year 2003, carried out at the Geophysical Observatory at Hel near Gdańsk. 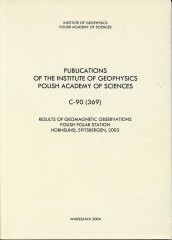 It is a consecutive twenty-sixth report of similar results published since 1966. 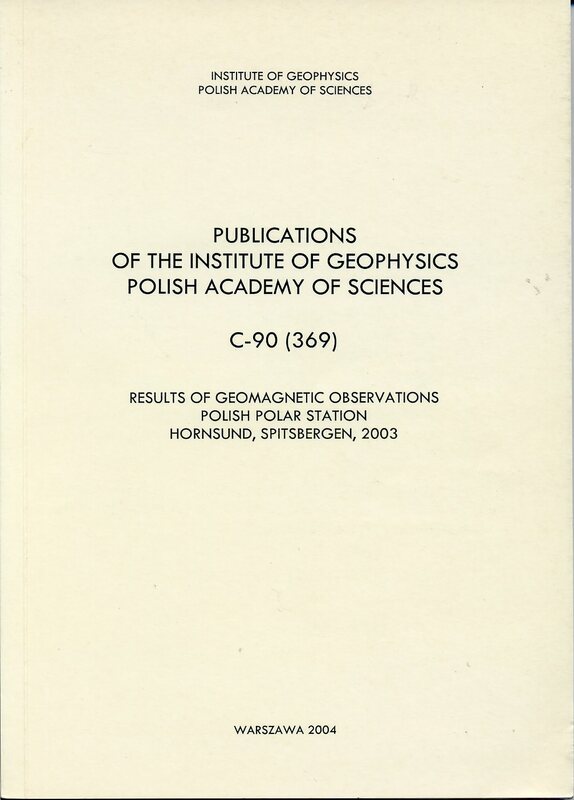 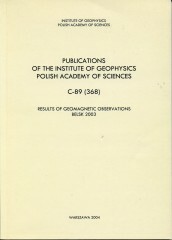 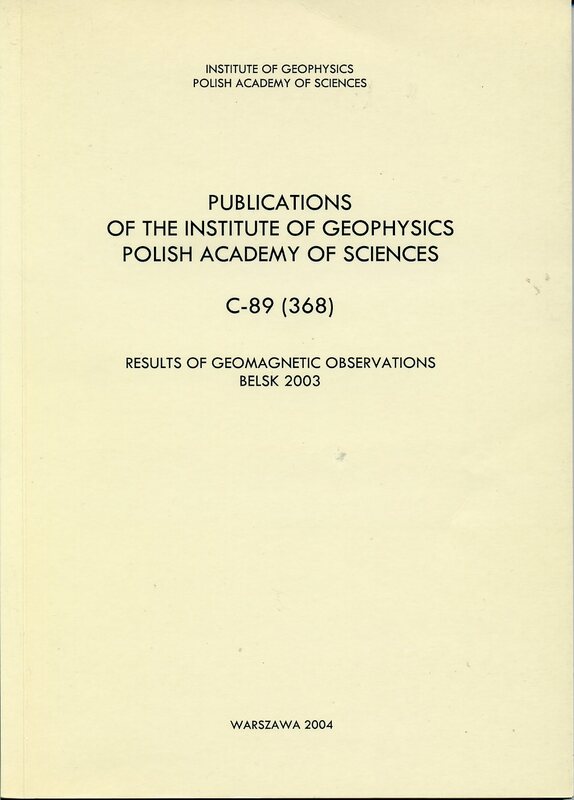 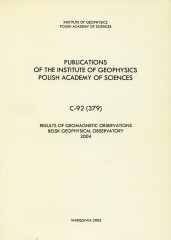 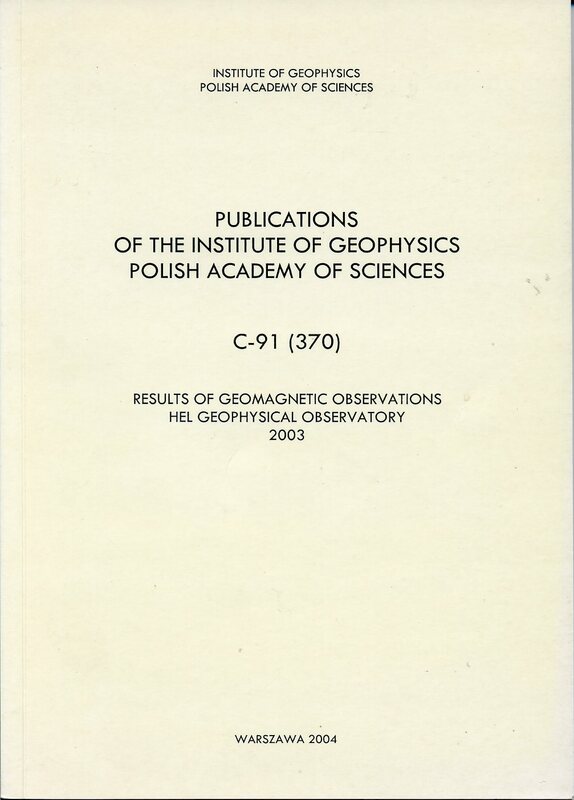 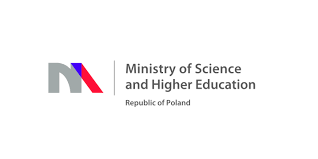 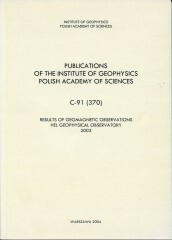 This publication contains results of geomagnetic observations performed in 2003; it is consecutive, thirty-eighth issue in the series of yearbooks listing observations of the natural magnetic field of the Earth at the Central Geophysical Observatory at Belsk.